I have a long connection with Mud Brick housing. My mother’s family were one of the original settlers of Diamond Creek, just over the road from Eltham, the heart of Victoria’s Mud Brick building community. 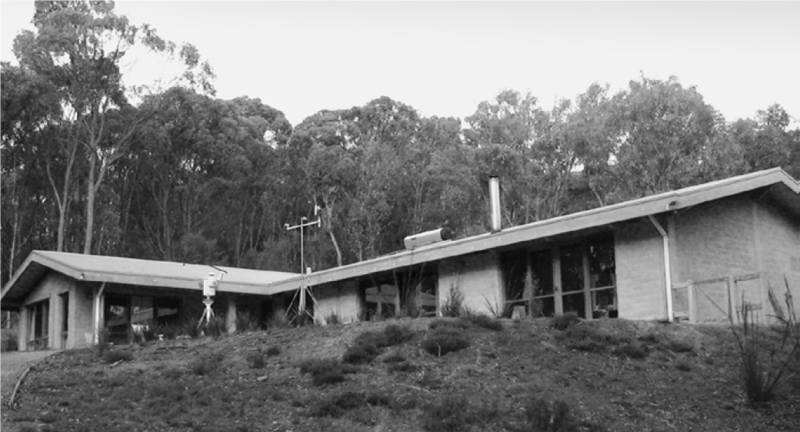 My family used to go “Knox Box Watching” on the weekends: we’d drive to Eltham to see the latest houses by Alistair Knox, a pioneer in Mud Brick building. It played no small part in my decision to become an Architect. So, I have felt the frustrations of the Earth Building community with NatHERS keenly. 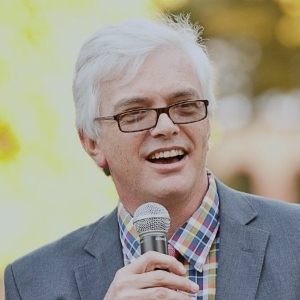 The last thing I want to see is the loss of a valuable part of Australia’s architectural heritage because we have introduced energy efficiency ratings, particularly when the rating itself does not consider many of the other environmental benefits of earth building. Having said that, I am afraid that I think that some of the frustrations with NatHERS are misplaced. In my experience a good passive solar design will allow a mud brick house to be constructed without wall insulation virtually everywhere in Australia. It is only when mud brick dwellings depart from passive solar or fail to consider the subtleties of design for climate that passing minimum energy efficiency regulations becomes difficult. That said, I do believe there are many other environmental advantages in using mud bricks. Our regulations do not recognise these benefits, and they should. The following article presents the results of monitoring a mud brick house and comparison with AccuRate simulation predictions in 2006. It demonstrates my point that a good passive solar design works well with mud bricks in Melbourne, Sydney and Alice Springs. Finally, I talk about some of the benefits of mud brick building and other important issues beyond the current scope of NatHERS that should be recognised in regulations to create a more level playing field for Mud Brick houses. 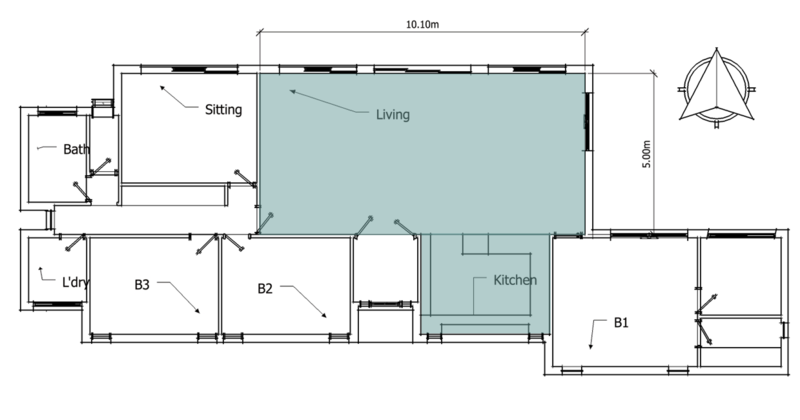 The house shown below was monitored by Deakin University’s MABEL team. It is located in Christmas Hills in Victoria which is between Eltham and Healesville in Melbourne’s east. Monitoring buildings is fraught with difficulty. Assumptions about the thermal resistance and mass of materials in the constructed house may not be the same as in the simulation. Subtle details like gaps in construction may not be apparent. And the monitoring itself can be problematic. The temperatures predicted by AccuRate are an average for the room, while the monitoring point may experience localised effects. This makes the match between monitored conditions and the predictions of AccuRate shown below particularly impressive. 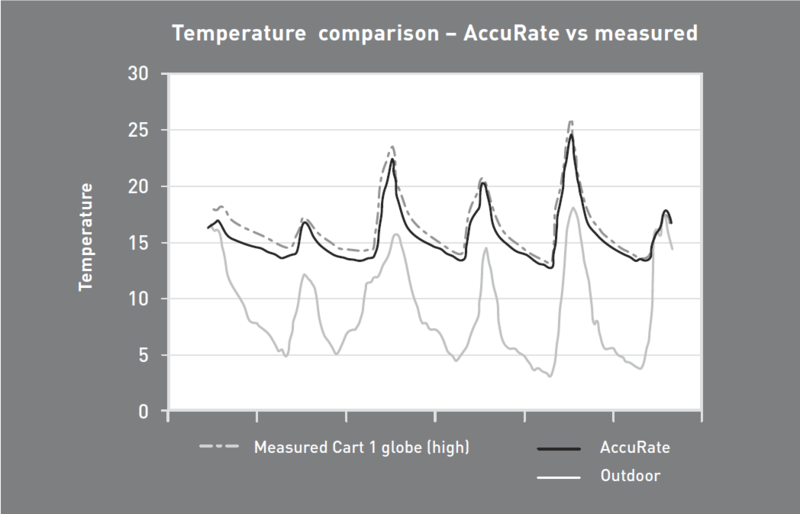 Note that while the initial temperature predictions of AccuRate are a degree or so low to begin with – which would tend to overestimate heating and underestimate cooling – this difference is significantly reduced by the end of the monitoring period. The Chenath engine in AccuRate actually repeats the calculation of the first day of a simulation several times to stabilise the calculations. It may be that, for this comparison over a short period, it just didn’t repeat this enough so this difference in the initial days may be overstated. The good match between AccuRate and monitored results gives a significant degree of confidence that the simulation engine can predict the performance of mud brick buildings with sufficient accuracy. 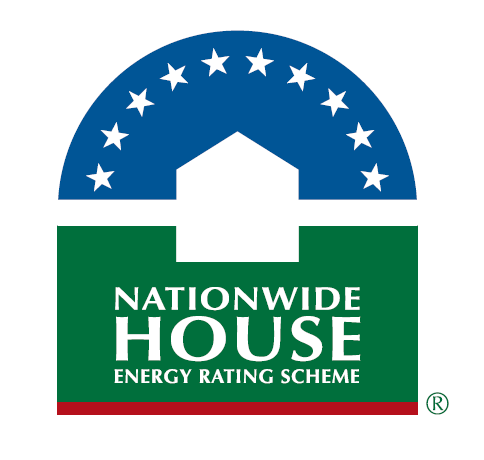 However, NatHERS tools contain many assumptions about the occupants use of the building which can affect the rating of houses and might lead to unintuitive results. 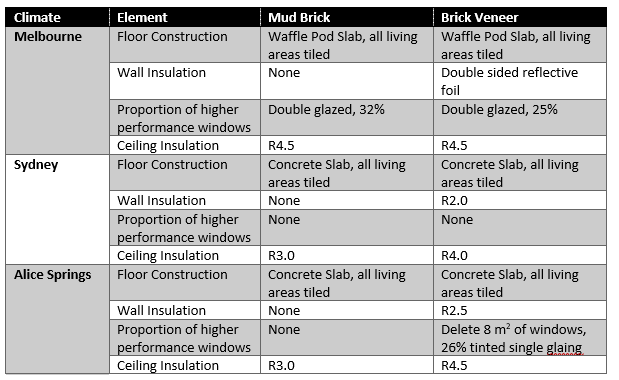 To check the outcomes from the rating the next section therefore compares specifications required to achieve 6 stars for house with Mud Brick internal and external walls with the same house constructed using Brick Veneer external walls and plasterboard internal walls. As I said in the introduction, I have found that a Mud Brick house with a good passive solar design can generally breeze through the rating at minimum compliance. So, I have used the Passive Solar plan from the previous newsletter. • Alice Springs a hot inland climate with much cooler night temperatures where high thermal mass construction should provide a significant advantage. 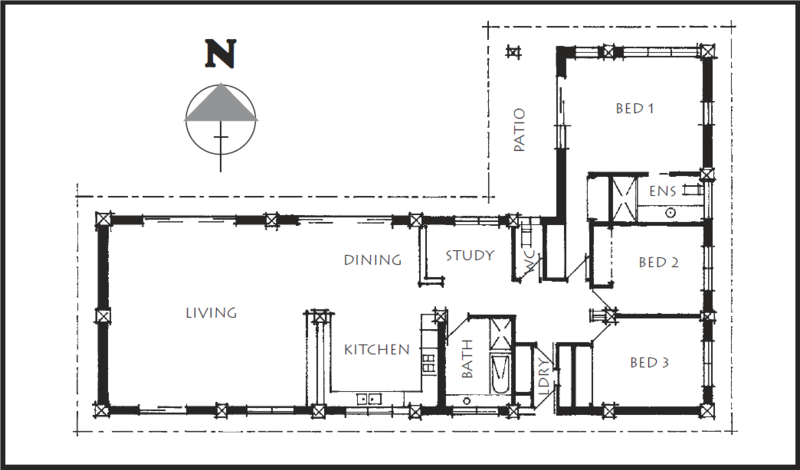 In this Passive Solar House, the cost of improvements needed to achieve 6 stars are minimal. In Melbourne the greater area of double glazing needed in the Mud Brick house is probably a similar additional cost to the double-sided foil insulation required in the Brick Veneer walls. In both Sydney and Alice Springs, the cost of improvements needed in the Mud Brick House are significantly less than in the Brick Veneer house. 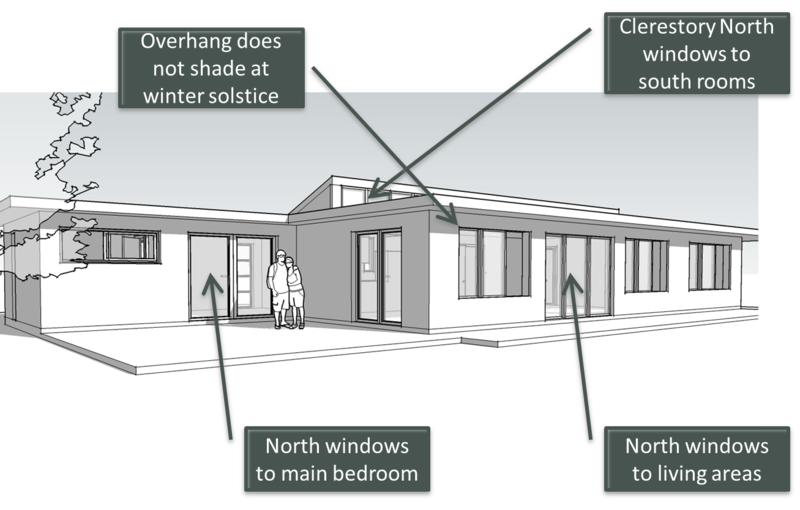 So, in a Passive Solar House, complying with the NCC does not add an undue burden where Mud Brick construction is used. So why is there so much disquiet about the impact of NCC energy efficiency regulations on Mud Brick houses? As soon as you depart from the Passive Solar template in a cool climate it does become much harder to achieve compliance. Face the house south instead of north in Melbourne and the rating drops to 4.8 stars. If you are on a site that does not allow unobstructed north solar access you will need to use a lot of double glazing and even some wall insulation to compensate for the lack of solar heat gain through the windows in winter. Further, deep verandas are very popular with Mud Brick buildings. This is partly about life style, but it is also useful to protect the mud brick render from the weather. Add a 1.5m veranda all round the house and the rating would drop to 5.4 stars. It would fall further if it were not for the clerestory windows which are minimally shaded in winter. Not many houses use clerestory windows. Not only does the deep veranda significantly reduce the amount of sun coming in through windows in winter, it also stops the sun hitting the mud bricks. This solar heat gain engages the thermal mass effect. Well shaded mud brick walls loose as much heat as any uninsulated wall in winter because the thermal mass effect is not engaged. I have also seen a number of mud brick houses with plasterboard internal partitions. This alone reduces the rating of the house from 6 to 4.7 stars. The house simply doesn’t have enough thermal mass to store winter heat gain and dampen the effect of summer heat gains without the internal mud brick walls. Because mud brick walls have such a low thermal resistance the rating is also very sensitive to surface area. Increase the wall area by 25% by using a courtyard design or higher walls and the rating will drop another half a star. When you are using a low thermal resistance construction element in cool climates like Melbourne the heating requirements are very sensitive to a range of design elements like the extent of winter heat gain through windows and the shading and surface area of walls. These effects are not as pronounced in milder climates or hot inland climates. In Sydney and Alice Springs, a 1.5m veranda improves the rating. In Sydney facing south has an even greater impact on the rating than in Melbourne, while in Alice Springs the loss of rating is not as large because while facing south increases heating it also decreases cooling by almost as much. The better the quality of the design for climate in a Mud Brick house, the easier it is to pass NCC regulations. In cooler climates in particular slight changes in design can have big impacts on heating loads. You simply can’t design a mud brick house the same way that you would design a house with highly insulated walls. There are many more constraints, and many of them need a more fine-tuned design process. Getting a NatHERS assessor involved at the sketch design stage is critical to achieving a low compliance cost solution for Mud Brick houses. If not, the client might just ‘fall in love’ with the very features that will add thousands of dollars to the cost of their house. Mud Bricks can be a very low embodied energy material providing you don’t need high levels of cement stabilisation. It is important to remember that at the upper end of cement stabilisation mud brick walls can have the same embodied energy as a 150mm concrete block. Most of the mud brick houses I am familiar with don’t have central heating. More typically they use a wood fired heater which, depending on the source of the wood, is a renewable resource with low carbon impact. Air conditioning in Mud Brick houses is rare too, because they have an inherent advantage in summer, particularly where there is a significant drop in overnight temperatures. Most people who build mud brick houses do so out of some environmental ethos. It is therefore not uncommon to also see Solar Hot Water and Photo Voltaic panels on mud brick houses. When you take into account all these factors a typical mud brick house would easily have a carbon footprint than a McMansion in the outer suburbs which only just meets the minimum building fabric requirements of the NCC. then the house will have a demonstrably lower carbon footprint that typical suburban new houses. All these factors would ideally be built in to the NCC, so that the benefits of good Mud Bricks houses are recognised. This would help to raise the bar for typical construction and deliver greater environmental benefits for all houses. Until then, however, I think the development of an alternative solution is the best way forward till 2022.